Education is a key need, along with other basics, in today’s world for anyone, anywhere to have a good quality of life. In developing countries like Nepal, basic education is crucial to alleviating poverty, reducing inequality and driving economic growth. Quality of education in Nepal is generally poor, characterized by high drop-out rates, lack of child- and girl-friendly facilities and child-centered learning environments. Nepal is home to 26.6 million people, with children younger than 15 years old making up more than 40% of the population. More than one in three people in Nepal live in extreme poverty, subsisting on less than $1 per day. Education is one of the most important investments a country can make in its people, its future and is critical to reducing poverty and inequality. Education plays a decisive role in a child’s development. Mission Literacy campaign helps to improve participation of children, their parents and the community in education planning, improve learning levels and reduce dropout rates of children. 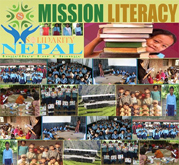 “Mission Literacy” is an international level program, which focuses on the basic education for underprivileged children, youths and adults in rural areas of Nepal. It has a goal to benefit more than 1 million people through learning process as it is highly recognized, participated and supported by Medias, colleges, corporate houses, youth agencies, government, political figures, NGOs, local organizations and local people. 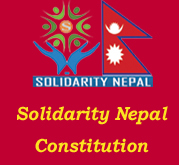 This program is initiated by Solidarity Nepal, a non-profitable and social welfare organization dedicated for social transformation in Nepal, open to all persons regardless of race, color, creed, gender or political preference. 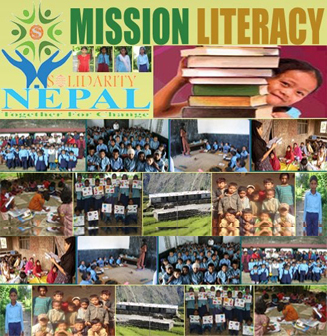 “Mission Literacy” means to eradicate illiteracy in the country by imparting functional literacy to non-literates. Through the success of our pilot phase program conducted at several schools, orphan houses and community centers. Solidarity Nepal is confident to meet the challenge through educational scholarship, awareness, orientation & training program, school to school movement and home to home campaign. Besides, this project also supports the Technical Education and IT infrastructure (e-library classes) that can be given to the students and teachers of different schools in the remote districts of Nepal. Women and Family Life Education for adolescent girls. Create quality, inclusive, learner-friendly environment for all the children, youths and adults through educational scholarship, interaction programs, awareness and additional facilities. Develop equitable education policies and practices, thereby ensuring a quality education for all regardless of their gender, class, caste, ethnicity and religion. Focus on early childhood development, non-formal, technical & vocational education, and promotion of child-centered approaches, train teachers and helping communities to develop close linkages with schools. Support under-privileged children under difficult circumstances such as child labor, poor economic condition, children inflicted and affected with HIV/AIDS, street and runaway children, children with rare disability, disaster struck children and slum children. Improve quality of education through learning habits and awareness campaign. Encourage transparency, good governance, stability and helps to fight against graft and corruption. Increase the school enrollment rate. Mission Literacy campaign runs with your generous support. Solidarity Nepal initiated this campaign for everyone who is passionate about making difference in Nepal by investing little effort. Every one of you can contribute and participate in this campaign by raising fund, volunteer opportunities and promoting us so we can get to our potential supporters. Educational scholarship for the underprivileged children, youths and adults in the rural areas of Nepal. Setting up computer labs and school/community libraries under “One District – One Library” campaign. Financial and technical support for the establishment of Learning centers, awareness, orientation & training program, school to school movement and home to home campaign. Our programs promote educational opportunities for children to learn, develop and participate in their communities. Programs such as Learning Centers, Child Clubs, Door to Door, school to school, and Child-to-Child learning characterize our innovative approach to youth and non-formal education. Our programs offer a safe and nurturing environment for children, youths & adults and provide critical opportunities for physical, cognitive, social, emotional, and language development through different approaches. Please notify us here info@solidaritynepal.org by indicating your interest on the project. Support our Children in Baglung, Dolakha, Gulmi, Kathmandu, Nawalprasi and Sindhupalchok districts of Nepal.